Shop from a variety of choices, without the hassle. 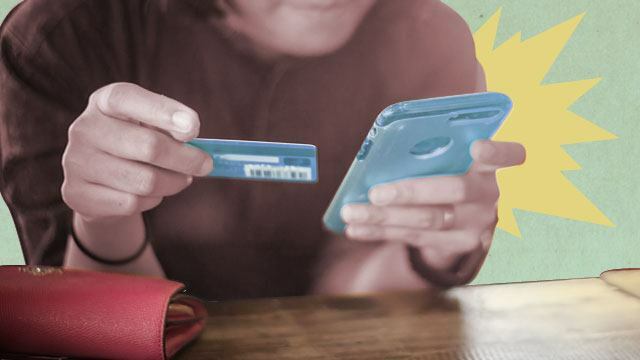 (SPOT.ph) Our shopping habits have changed over the years. The Internet and social media have literally bridged the gap between buyers and sellers based in different locations, and anyone can access a bigger, wider market—even across the globe. In the not-so-distant past, bargain hunters were limited to mall sale events, bazaars, and occasional trips to outlet stores. These days, a few taps on your smartphone lets you find just about anything you need, along with someone who’ll sell it to you at a good price. While this makes things easier, some complications are inevitable: Coordination, modes of payment, and logistics can be pretty tricky to sort out. It helps both buyers and sellers if we’re not shopping and dealing in the dark, and this calls for an online shopping solution. This is what CheckMeOut is for. CheckMeOut is an easy-to-use payment and delivery solution that makes online selling smoother, safer, and more accessible to everyone. Through its official website, CheckMeOut can take care of your payment methods and delivery, so you won’t have to sort your way through shady dealers and trenchcoat transactions. As a seller, all you have to do is sign up, upload your items, and share the CheckMeOut link on social media. Once you close a deal, CheckMeOut will give you and your buyer a variety of secure options for payment and delivery. Everything’s simple, secure, and seamless—which is how shopping should be. There’s one thing about the shopping experience that doesn’t change: the momentary rush one gets with every steal. And one of the best things about CheckMeOut are the steals you can find in the CheckMeOut Exclusives community, an official CheckMeOut buy-and-sell Facebook group. Here, you can find everything from rare gems to everyday essentials—shoes, cosmetics, jeans, and gadgets at affordable prices from sellers with CheckMeOut accounts. Think of all the bazaars and pop-up shops you see around the city and imagine taking them online. What you’ll get is the CheckMeOut Exclusives FB Bazaar, an online sale that will happen entirely on Facebook from September 1 to 7. Looking forward to scoring some great deals? Learn more about the CheckMeOut Exclusives FB Bazaar here. If you don’t have a CheckMeOut account yet, sign up here. This article was created by Summit Storylabs in partnership with CheckMeOut.